Disclaimer: I received one or more products for free in the hope that I would mention them on my blog. Regardless, I only recommend products or services I use personally and believe will be good for my readers. 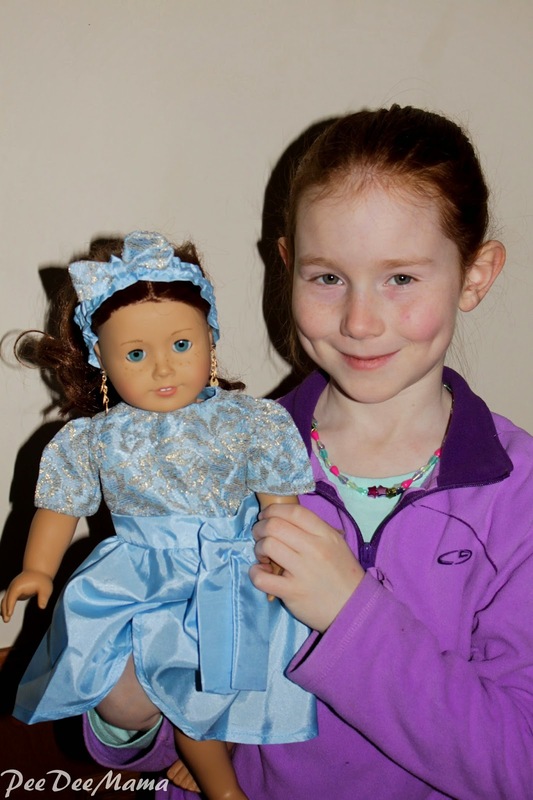 Little Red absolutely LOVES her American Girl doll. She can spend hours and hours dressing and accessorizing her doll. She loves getting new outfits and dressing up her little friend. As her mom, I want to give her what she wants - new outfits, but I also want to be wise with my money and not spend a ridiculous amount on an outfit for a doll. Enter Doll Clothes Superstore. They offer a wide range of attire for the most popular dolls and stuffed animals on the market. Not only do they have a wide variety, but their prices are very affordable. I knew we would want to buy American Girl doll clothes, but trying to just choose one outfit was difficult. There were so many to choose from! We ended up choosing the Blue Party Dress with Headband. Little Red was so excited when it got here; she raced right upstairs to get her doll all "dolled" up. I was excited to see that the dress is extremely well made. As many times as it's going to go on and off the doll, it has to be! Shipping was extremely quick as well. Not only does Doll Clothes Superstore have outfits for American Girl dolls, but they also have matching girl and doll clothes. They have sleepwear, dresses, and play outfits in sizes 2 all the way up to 14. What little girl doesn't love to dress like her best doll friend? 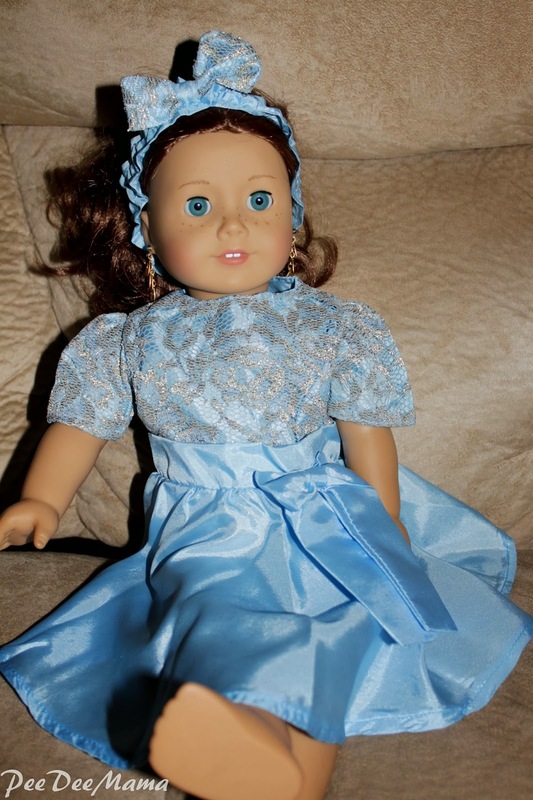 You can also find affordable outfits for My Twinn dolls, Cabbage Patch Dolls, Barbie Dolls, and Stuffed Animals. I know where we'll be buying birthday and Christmas presents for little girls - Doll Clothes Superstore! As a special gift to my readers, Doll Clothes Superstore is offering a special 10% discount with no minimum purchase required. Simply use the code "talesdcs" at checkout.